Susan Striker is the author of the best-selling Anti-Coloring Book® series with over one million books in print all over the world and now available as an iPad app. Designed to stimulate creativity and encourage problem solving and critical thinking, the books help children draw their own pictures as well as their own conclusions about life. She also wrote Please Touch® (Simon & Schuster) which teaches parents and educators how to stimulate creativity through movement, music, art and play. Young at Art® (Henry Holt) is a comprehensive text about the value and significance of early childhood art. That book clearly demonstrates the important link between early scribbles and later literacy. Sue taught art in an elementary school in Greenwich, Connecticut, where her school won the National Reading Award. Among the considerations of the judges was her literature based art program. She has a unique style of motivating children to create by integrating art with music and literature. She has had a long, successful career teaching art to young children, has taught art education methodology to university students and developed art curricula. She shares her innovative teaching ideas in workshops for parents and teachers in schools and universities all over the country. Sue’s work has been the subject of numerous television shows, both local, national and international. In 1984 Sue founded Young at Art, a private art school in Manhattan, offering classes to young children. “Its aim”, she explains, “was to spark creativity, generate fantasy and unleash imaginative thinking.” There she held classes for children, ages one through five, and gave birthday parties where art activities were the focus of the day. Her school was not only the talk of the town, but was featured in newspaper and magazine articles as far away as Japan. Her dream is to see her art classes for young children brought to children of all economic backgrounds throughout the world, so she offers several curricula with videos of her teaching. Anti-Coloring Book® for Students ages 6 and up includes multiple stories and related hands-on drawing activities. No fee with purchase of a minimum of 12 Anti-Coloring Books® @ $12.00 each for venues within 50 miles of Easton / 18 books for distant areas. Anti-Coloring Book® for Teachers offers alternatives to the many toys, games and traditional art projects that teachers commonly use that stifle critical thinking and creativity. All activities begin with a literature-based introduction and demonstrate simple ways to encourage students to use their imaginations in risk-free environments. Multiple drawing, digital art, sculpture and/or painting projects are used. No fee with purchase of a minimum of 12 Anti-Coloring Books® @$12.00 each for schools within 50 miles/ 18 books for distant areas. Young at Art® is a workshop that begins with a story that introduces hands-on drawing, painting, collage, and sculpture activities around the theme of a story. Choose from COLOR MAGIC or SHIP SHAPES or do both as separate workshops.  Young at Art® is a curriculum for teachers of children from pre-k through early elementary school. Susan demonstrates how crucial age-appropriate early art experiences are in a child's education and how these experiences support and enrich leaning in the areas of literacy, math and history. This is a literature based, hands-on series of multi-media, age appropriate activities around the subjects of colors and shapes. Handouts for COLOR MAGIC or SHIP SHAPES provide each participant with 2 full semesters of activities for their classrooms. An introduction to the art of the unique woodcarvings from Oaxaca, Mexico. Workshop will be a literature-based introduction to the art to be followed by creating our own sculptures using Model Magic and Paint. Passport to Art® is a hands-on program for children ages 8-18 offering a chance to travel all over the world without leaving home. Select from multi-media, hands-on activities representing ancient Egypt, Japan, Mexico, Native America, Panama, India, Africa and/or China. At completion, every participant will have a hand-made “travel book” to remember the journeys by. Master Artists® is a series of literature-based art activities that introduce the modern masters through storybooks that deal with them as people as well as artists. Hands-on art activities give participants an opportunity to experiment with the ideas that each artist originated. For teachers of students or students: Ages 8-18. Full day Staff Development Residency can be tailored to your needs; full day includes a variety of media including drawing, painting, collage and sculpture. This unit includes multiple, sequential projects. Susan begins the residency with drawing and paper weaving to teach the basics and progresses through a sequential series of activities that include weaving with yarn on a loom, ojos de Dios, basket weaving and weaving in the round! This is excellent for all students! Make Art! Not War! presents The Anti-Coloring Book® App, a creative and productive iPad app that offers an alternative to all of the competitive and fighting games too many children play with. This app was designed to take users away from their screens and bring them back to old-fashioned art materials. All ages. iPad and app installed prior to workshop required. 90 minutes No fee with purchase and installation of 50 apps. There is a $100 booking fee for this program.